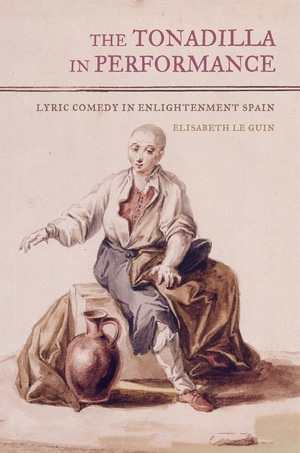 To study a repertory of opera buffa in the late eighteenth century is to study ... what a given audience might have witnessed in a particular place during a particular period of time. Enormously delightful and instructive for everyone, both public and performers, would be a modern reconstruction of a typical theatrical spectacle of eighteenth-century Spain, long and intense, with its play full of music and songs ... , with the intermediosfilled with loas, tonadillas, and fines de fiesta, with the public going in and out, participating, eating, and drinking. You'll be impressed, listen: we begin the day with a chocolate at seven in the morning, we walk from the Corredera de San Pablo to the shop in Alcalá to open up at eight, and often we don't close until eleven at night. The business is going very well; we sell quantities of cloth to ladies and seamstresses, the finest being from Cataluña (I mean the muslin, not the ladies), and it gives me a certain pleasure to see some of our stock made up into an elegant dress, glimpsed in a carriage on the Prado of a Sunday ... Perhaps there's hope for my career in business after all! You may tell Papa that Baltasar is pleased with my efforts at the accounting. I'll write him as soon as I can to give him a mature report, free of literary foolishness and worthy of a man of business. But now, I want-I must, I burn-to tell you of the events of yesterday evening. Finally we went to the theater!! I have not forgotten your solemn charge that I send you punctual and frequent reports about the state of our common passion here in the Spanish capital. That until now I've been neither punctual nor frequent, nor in fact have I sent you anything at all, I must blame on the demands of Business. Only you can imagine my impatience. We determined to attend on the 27th, that is, last night. The plays here begin at half past two in the afternoon in Winter, to take advantage of such light as there is.3 So Señora Baltasar (how strange it still feels, to call our dear Julie by this title! But she wants me to do it ... ) passed a good part of the morning attended by a hairdresser and her maid Rosario, engaged in the mysteries of the toilette; as a consequence we had to breakfast rather rapidly, but by two we were all ready for the carriage. When I arrived in Madrid, it would have struck me as strange to use a carriage to go so short a distance-but not now. One is astonished, in the capital not only of a country but of an Empire, by the disgustingness of the streets. Really they are more like open sewers; people throw everything directly out of their doors and windows, and only the biggest streets are paved.4 Our Corredera de San Pablo, a respectable street in a respectable neighborhood, is little more than a mud track. It has such deep ruts that it was hard for the driver's phthisic horse to negotiate them. Had we walked, the ladies' skirts would have been ruined within two minutes, and that is a painful thing for a cotton merchant to contemplate! When we got out of the taxi at the doors of the theater, we had promptly to take our leave of Julie and Rosario. Why, you ask? Well it turns out, dear sister, that here in Madrid you ladies have your own entrance to the theater; nor may you sit with us gentlemen, except in the family boxes of the wealthy. When I asked him about this custom, Baltasar told me that it has always been this way; that the separation maintains "public decency" and "honor"-that mysterious thing so much talked about here, and which seems to me to be a sort of profound prudishness. In any case, our good sister disappeared with her maid into a sea of silks and robes (and some fine sprigged muslin out of our shop!) around the side of the theater, where the ladies' entrance is situated. The tonadilla, a type of satiric musical skit popular on the public stages of Madrid during the late Enlightenment, has played a significant role in the history of music in Spain. This book, the first major study of the tonadilla in English, examines the musical, theatrical, and social worlds that the tonadilla brought together and traces the lasting influence this genre has had on the historiography of Spanish music. The tonadillas' careful constructions of musical populism provide a window onto the tensions among Enlightenment modernity, folkloric nationalism, and the politics of representation; their diverse, engaging, and cosmopolitan music is an invitation to reexamine tired old ideas of musical "Spanishness." Perhaps most radically of all, their satirical stance urges us to embrace the labile, paratextual nature of comic performance as central to the construction of history. 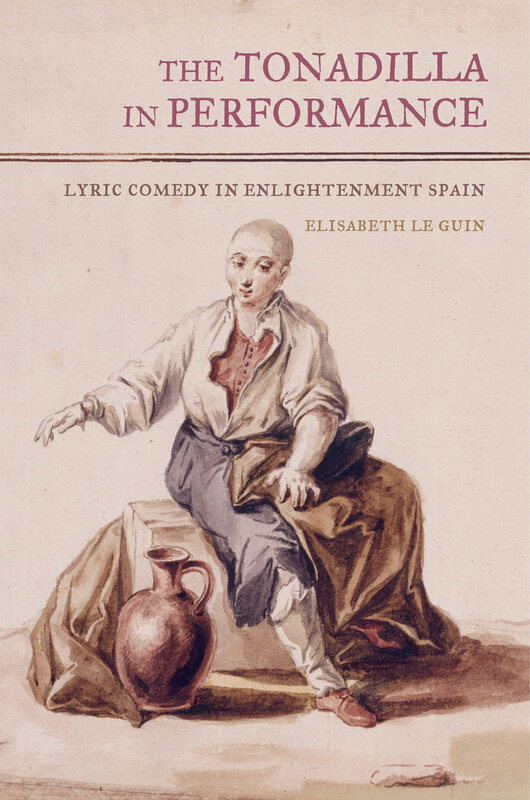 Elisabeth Le Guin is Professor of Musicology at UCLA and author of Boccherini’s Body: An Essay in Carnal Musicology.